Produk untuk PS3 yang dibuat April 2010. 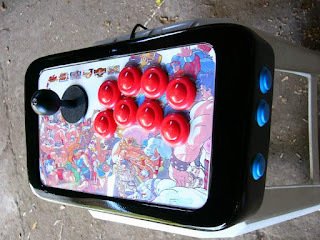 Pakai stick Calle dengan balltop buatan khusus, shaft cover; tombol platina, dan tombol tiruan Jepang yang kecil. A PS3/PC product we made on April 2010. 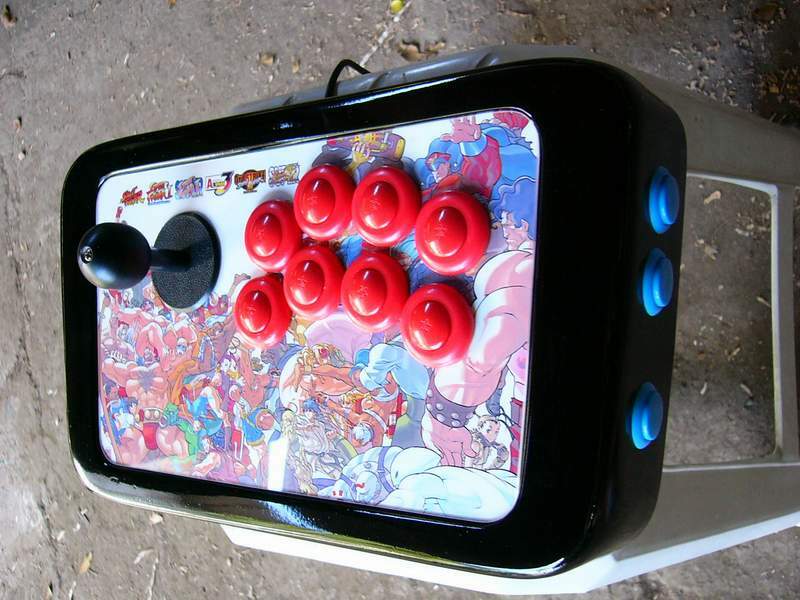 It used Calle stick(the older type) with custom made balltop, custom shaft cover, leafswitch buttons, and knockoff Japanese buttons. 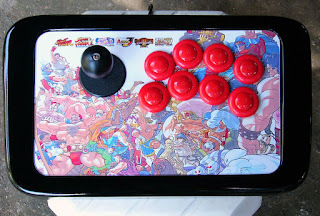 Stick ini pakai artwork yang sama dengan stick lain yang kita buat sebelum nya, atas permintaan sang konsumen. 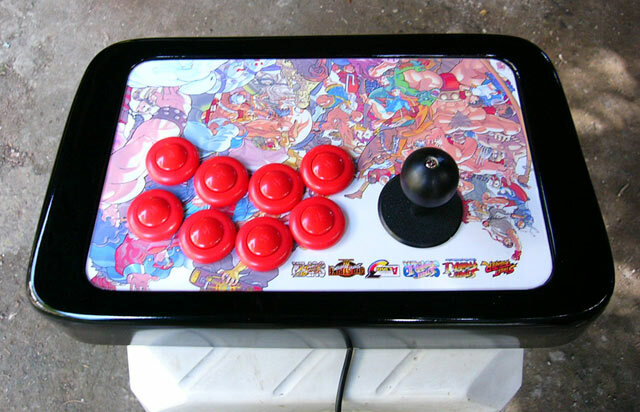 Artwork yang tampilin karakter-karakter dari Street Fighter 1-3. This stick has a very similar artwork with a stick we made before, as requested by the customer. 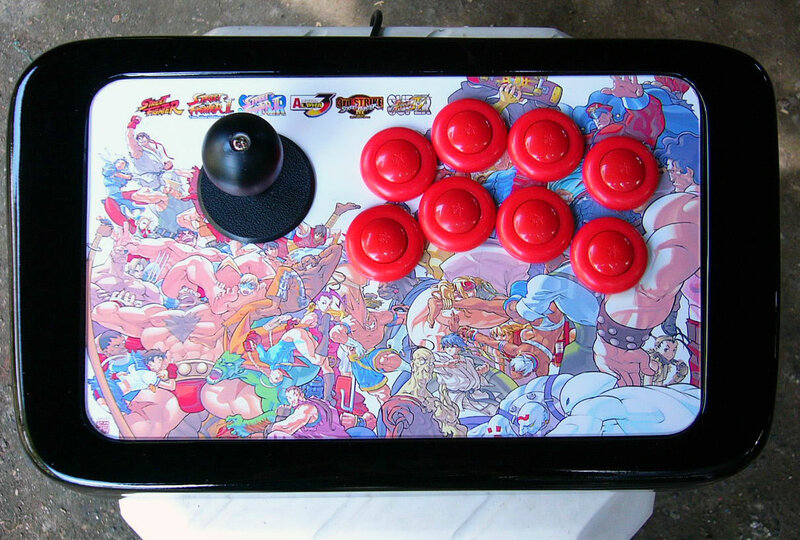 The art displayed all characters from Street Fighter 1-3 including ones from the Street Fighter Alpha series.